Piano moving is a very serious and responsible task, taking into account the weight, size, and value of this musical instrument. Thereby, whether it comes to purchasing a brand new piano or moving an antique piano from one location to another, there is always a problem related to its safe transportation. Since it is simply impossible to move such a huge and heavy item without extra help, you should select a reliable piano shipping company that can take responsibility for moving something as complicated and delicate as this musical instrument. Piano moving in NYC, as well as in any other city, is always a very serious business that involves much skill, professionalism, and care. After all, any piano is a fragile and complex object, not to mention that antique pianos are additionally highly valuable and expensive. Be it a vintage concert grand piano or a relatively small modern piano, there is much risk to damage its corpus or sound elements so that it never produces the same quality of sound again. With more than two decades of professional fine art moving and shipping experience, at Fine Art Shippers, we understand this very well and, therefore, always do our job with the utmost precision and attention to detail. 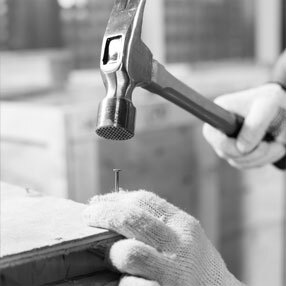 When dealing with pianos, our experienced movers handle them properly, put them upright, and use a wide range of professional art packing materials and tools for carrying, securing, and moving pianos to their destination safely. We always use proper blankets, piano dollies, and a special board for supporting the piano’s weight during the whole process of the transportation. Our professional art shippers have much experience in moving pianos for a long distance, and we have enough supplies to ensure their safe and timely interstate or even international shipment. Fine Art Shippers is also ready to assist those who need their pianos to be lifted up along complicated staircases if the elevator in their place of residence does not provide enough space for piano lifting. Hence, our movers are ready to manually lift the piano even to the 5th floor in case there are no alternatives. However, we always seek customized piano moving solutions for each client and situation. 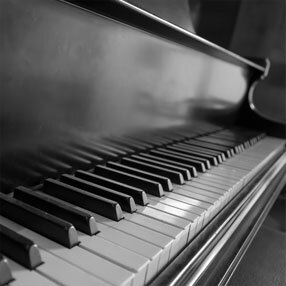 With over 25 years of experience in moving fine art and antiques, including pianos and grand pianos, our team has acquired all necessary equipment and tools for the safe and secure piano shipment, so we are ready to offer a wide range of piano shipping services for musical instruments of all types and sizes. At Fine Art Shippers, we also offer assistance with piano insurance, and we can provide piano storage services for those who have interior design renovation or simply need to transport it a bit later. In general, our team of piano shippers is ready to help you with moving a musical instrument of any type, even if it is an organ or a rare and exclusive Steinway piano. Turning to us for professional assistance with piano moving, you can always be confident that the entire shipping process will be professional, that we will quickly and safely conduct local or interstate shipment, and that our equipment for piano handling is modern and efficient. In addition to that, Fine Art Shippers offers very affordable quotes and prices for piano moving, which will make the relocation of your beloved musical instrument convenient and cost-efficient.